What’s the first thing you notice when you walk into a room? Or rather, what’s the first thing you want visitors to notice and admire when they visit your home? For us, it has to be the color of the walls! They can create any type of ambience you desire; right from homely and cozy to playful and vibrant, picking the right colors are imperative. However, it’s not just the color that matters; it’s the quality of the paint job that separates ‘awe’ from ‘ew’! When it comes to painting your home, anything less than a perfect job is not acceptable; at least not when you hire Houston Texas Painters. We understand the quality of work homeowners are looking for and promise to go the extra mile to meet those standards. Our painters are specially trained and experienced in residential painting and strive to achieve perfection with every project put before them. 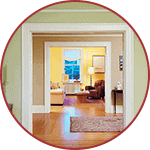 We separate ourselves from other painting contractors by offering customers quality, security and affordability. Although it’s been said that quality doesn’t come cheap, we try to keep our rates as reasonable as possible, yet never compromising on quality. Our paints are also of superior quality and come with manufacturer’s warranty. 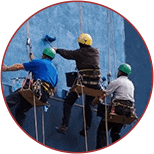 For Texas homeowners who are looking for a local, trustworthy painting contractor with skilled and experienced workers, Houston Texas Painters tops the list. Not only have our painters excelled in proficiency tests, they are fully insured, background checked and cross referenced. 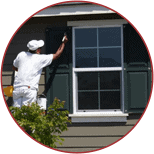 This makes them the all-round reliable choice for your Katy, TX painting needs! What’s more, we will not waste your time with upsells or force you to make any commitments; we are straightforward, transparent and convenient when it comes to quotes, bookings and payments. 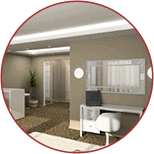 All you need to do is contact us, and we will take care of the rest. Looking for Painters in Katy TX ? You can call us anytime to get a free quotation; if you’re happy with our rates, a booking can be made instantly and easily via our website or mobile app. All you need to do is pick a day, a convenient time, and fill in a few other details and the booking process is complete! Our payment handlings are 100% safe; whether you choose internet banking, credit cards or pay by check, we guarantee a highly secure transaction every time. At Houston Texas Painters, we pride ourselves on being a trustworthy and reliable painting contractor and are humbled by the positive feedback we receive from happy customers across Houston. Another benefit you can expect when hiring our services is the free touch up period that we offer for 7 days post-painting. This means you can call us back any time within those 7 days to avail a free touch up job if the paint gets damaged or has any flaws. From free quotations and touch ups, to warranty on paints and highly trained professionals, Houston Texas Painters are your best bet if you’re looking for the best residential painting contractor!